Hibiya Festival is a major open-air festival showcasing theatre plays, dance performances, musicals, opera presentations and a stunning light installation. Best of all, it's free! Held at Tokyo Midtown Hibiya, the 2018 edition attracted around 1,000,000 people. The 2019 edition will be held from April 26 to May 19. 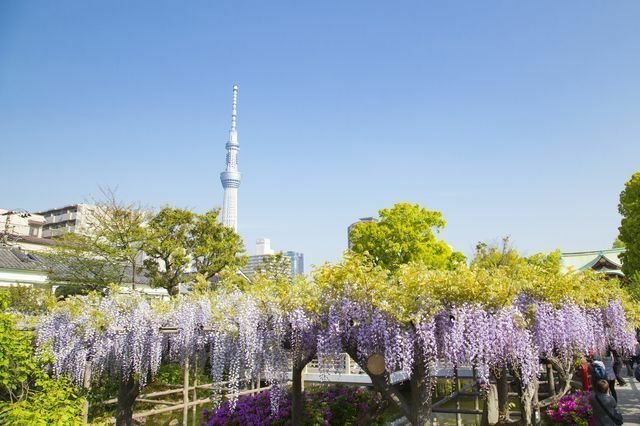 The venue is easily accessible from either the Hibiya station or the Yurakucho station. During the days leading up to Children's Day on May 5th, you can see carp kites everywhere in Tokyo. 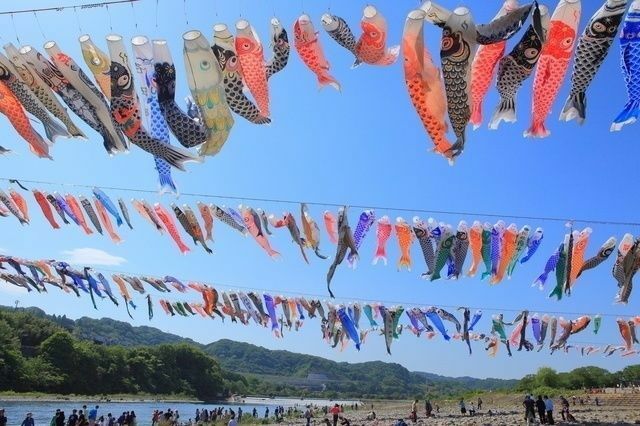 You'll see those at private residences, but there are also some impressive public displays of carp kites, or koinobori, everyone can enjoy for free. A carp string consists of two large ones that represent parents and other small ones that represent young boys that are celebrated on that day. Tokyo tower has one of the best displays in the city with its 333 carps, one for every meter of height the tower has. 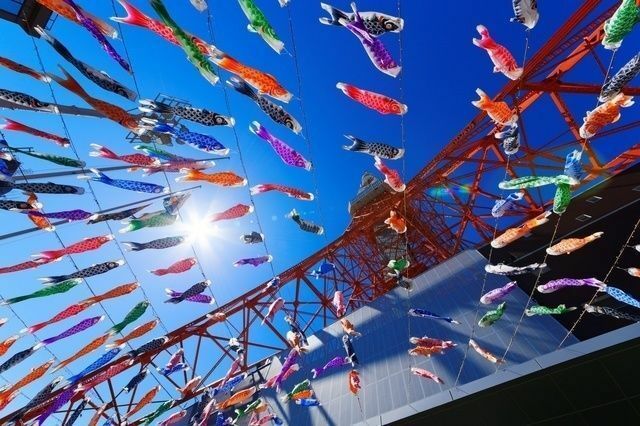 Children's Day: Where To See Amazing Carp Kites around Tokyo! Right after cherry blossom season in Japan, you can see another impressive floral display that rivals in beauty with the sakura: the purple wisteria blooms. 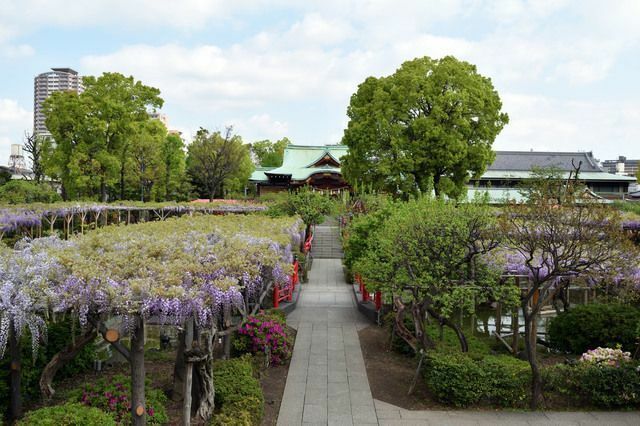 The season in Tokyo is from mid-April to early May, and one of the best places to see the hanging blossoms in the capital is on the grounds of the Kameido Tenjin Temple. Kameido Tenjin Shrine is located in Koto City, in the east part of Tokyo, at a 10-minute walk from Kameido station. 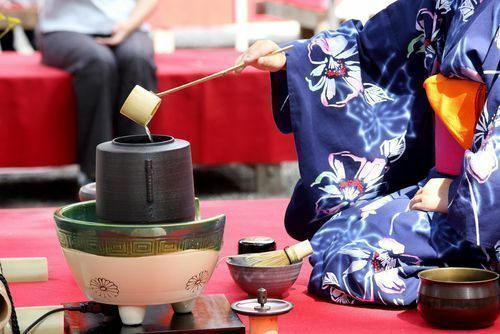 Because of it corresponds with the first and best tea harvest of the year, spring is surely a good time to experience a traditional tea ceremony! The ceremony is traditionally held in a tatami room with a tokonoma alcove with a kakemono scroll that usually symbolizes the season and may feature well-known sayings, particularly those associated with Buddhism, poems, descriptions of famous places, or words or phrases associated with tea. A flower arrangement, or ikebana, is also indispensable. It should give the viewer the same impression that those flowers naturally would if they were still growing outdoors, in nature. 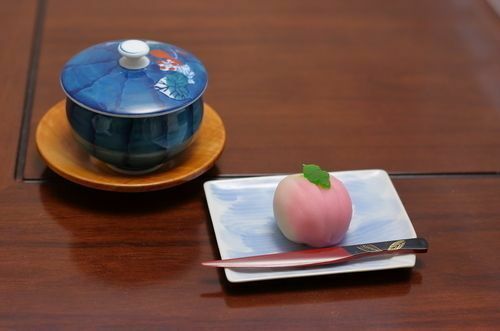 Besides the preparation and serving of the tea, the practice is also accompanied by a light kaiseki meal and a small wagashi sweet. The entire ceremony might take up to 4 hours. 17 Worthwhile Things To Do In Japan In Spring!